It's November. Wow. How is it that every year this happens? October comfortably feels like a Fall month, then overnight November hits and it's the end of the year. We listened to Christmas music on the way home from my parents' last night, which reminded me that THIS year, I WILL get ALL my Christmas shopping done by November so that I can actually breathe and enjoy December. I'm getting ahead of myself. 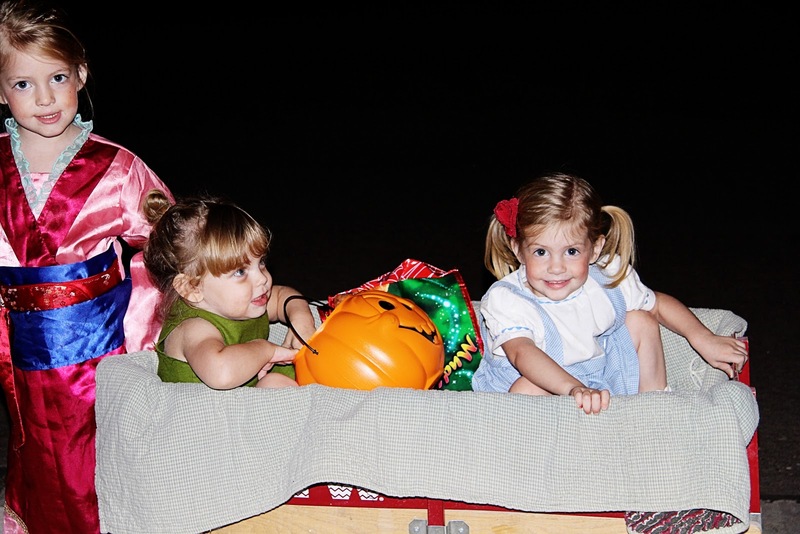 I just barely uploaded the Halloween photos. My sister and her family are visiting from San Francisco, so last night we headed to my parents' to carve pumpkins, have dinner and head out trick-or-treating (my favorite). 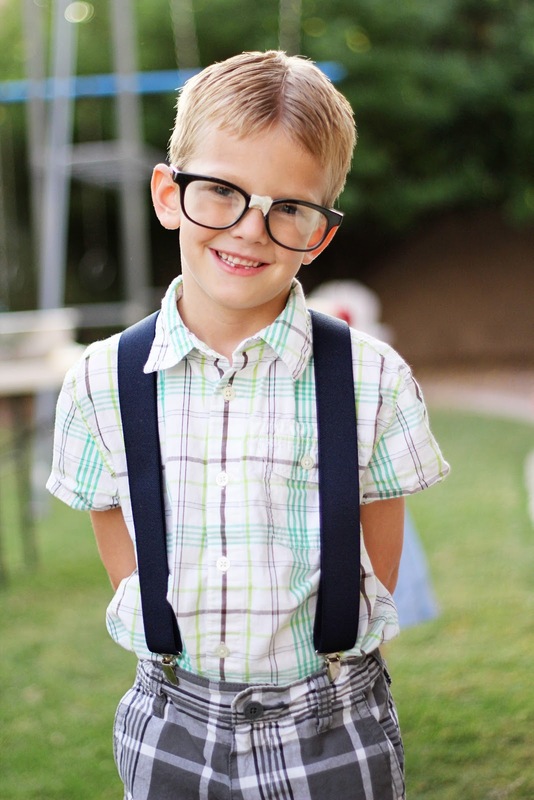 Colby was the cutest nerd I have ever laid eyes on. No, I'm not the least bit biased. 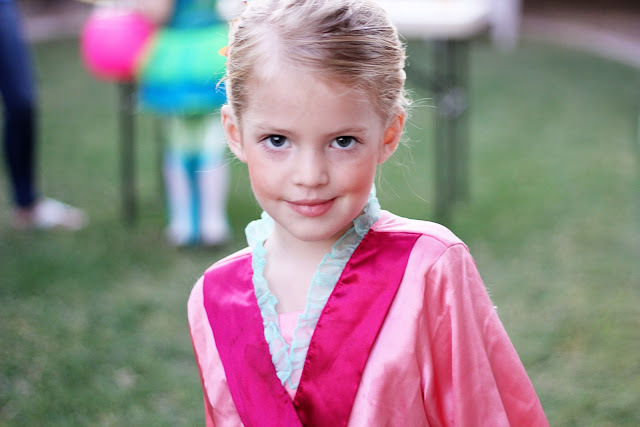 Miss Isabelle went as Mulan. 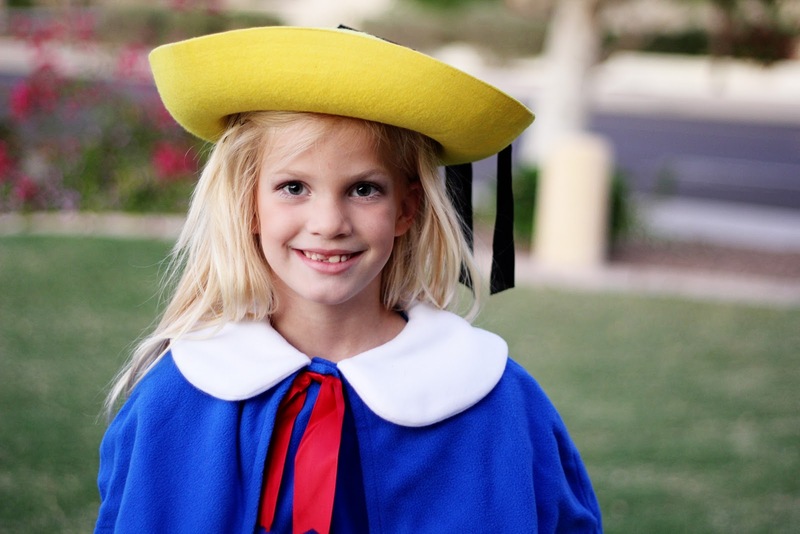 Madeline was…Madeline, the French version. 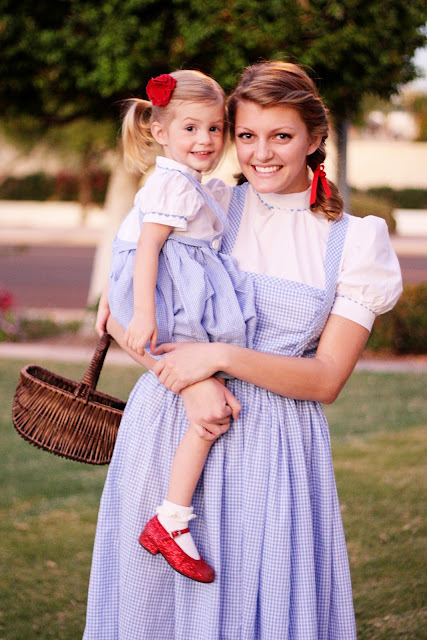 And both Charlotte and my sister, Amy, were Dorothy. These two cousins rode in the lap of luxury last night. 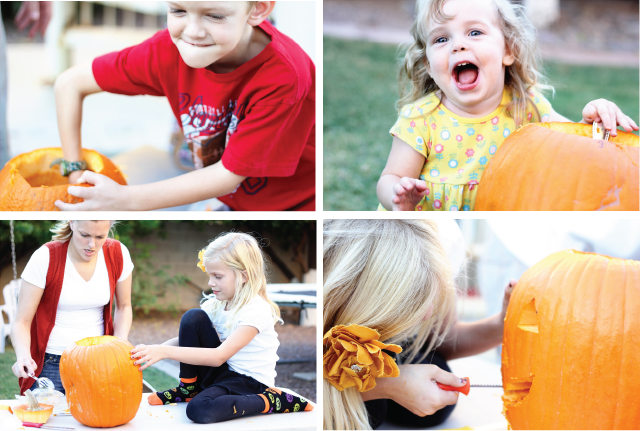 Pulled out at each doorstep, then put back in for some candy tasting while on their way to the next. I hope you all had a great Halloween! Now that all the costumes are put away, I'm off to write a Christmas to-do list for this month. OMG!!!!!! I think I've told you how cute your kids are, but I must say it again. Your kids are soooo cute!!! Love their costumes! Oh, and your sister's too! The kids look so precious! And those costumes are great! The children are gorgeous! fun costumes!! Not sure how I can post without it saying Unknown but my reply is melynell@aol.com. =) Thank-you!